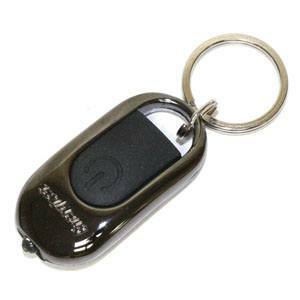 When it comes to finding the best keychain flashlight, it seems that most of them are quite similar. It seems all of us have found ourselves in a situation when we purchase something that looks high quality but it fails to satisfy our requirements. 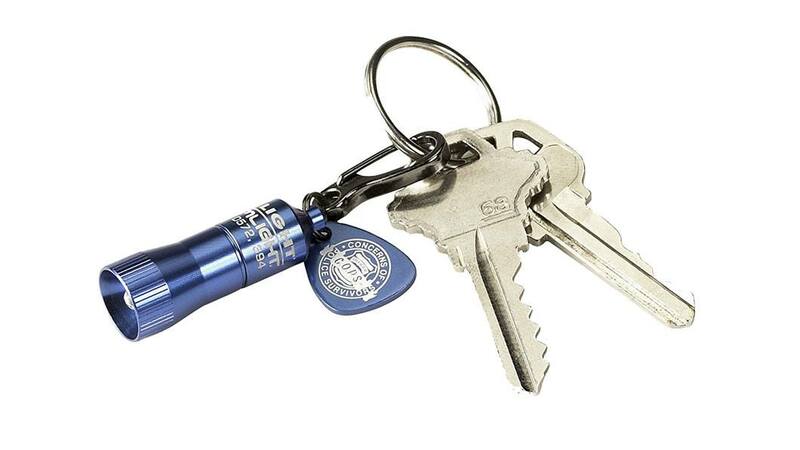 A keychain flashlight can serve many different purposes and become a must-have accessory that you don’t leave home without. You have to choose the right one. Nobody has time or money to get a dud product that either doesn't work well or breaks after the second week. After reviewing tons of keychain flashlights, we are offering you the top 10 list that can help you make the right choice without lengthy research. One of the main advantages of this keychain flashlight is its size. Thanks to its 1.47-inch length, it fits easily in a pocket yet still has a bright light equal to that of larger flashlights. The item is equipped with a hook that makes it easy to snap it on and off the keychain, belt loops, or even a zipper pull. The LED light lasts for years. The flashlight is waterproof which makes it convenient to use outdoors. 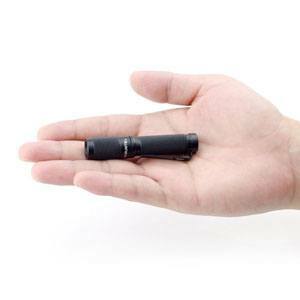 This small, lightweight flashlight is only 2.75 inches long and weighs 0.3 ounces. Its small dimensions coupled with a belt clip make it easy to carry. The light intensity can be regulated by twisting the head of the flashlight. It operates with one AAA battery, which allows it to work for 1 hour at the highest light (strobe) setting. 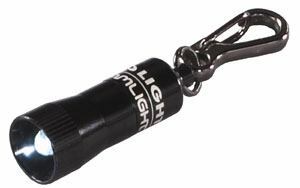 This keychain flashlight is the same as the popular Streamlight 73001 Nano model, but differs in color. The Streamlight Nano comes in several colors—each with its own own item number and price. This particular model is blue, the second most popular. You can also get it in green, red, pink, and orange. 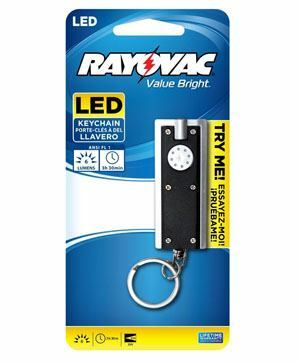 This keychain flashlight features a sleek design and comes equipped with a key ring and a soft push button. The long-lasting LED light coupled with three light modes makes it a great choice for all outdoor activities. The unit is powered by coin cell batteries, which can be a disadvantage because they are not easily found at your local convenience store. The beam of light at the highest setting reaches about 20 meters. The flashlight is constructed of materials that are durable and impact-resistant. Durability ranks of the top of the list of advantages for the Maglite Solitaire LED. 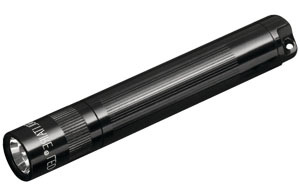 Maglite is a company that has been around for a long time, and has quality products. Built to work under the harshest conditions, even flooding, this waterproof unit is also impact resistant. It is equipped with an LED light and works from one AAA battery. 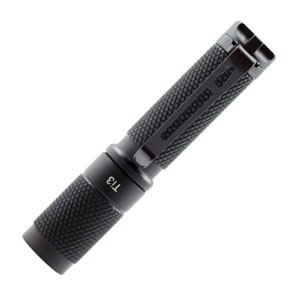 The flashlight operates easily in extreme conditions and is sure to be popular with rescuers and campers. It comes with an attachable key ring for keys, zipper pulls, and belt loops. 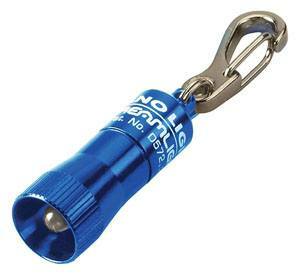 This keychain flashlight stands above the crowd due to its light output—a very bright 90 lumens. The beam distance is around 45 meters (about 145 feet). This durable, waterproof flashlight is a perfect choice for campers, hikers, and rescuers. This high-quality model comes with a 5-year manufacturer’s warranty. The flashlight is 2.36 inches long and lightweight. It operates with one AAA battery. The number one feature of this keychain flashlight is its design. It is small, flat, and compact. 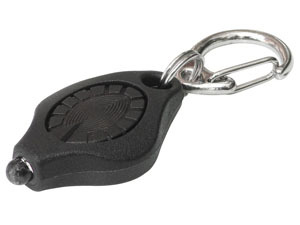 This item is only 0.25 inches thick and can be hidden in the smallest jeans pocket or attached to the keychain without adding weight. The brightness is only 10 lumens. However, the LED beam can reach very far. The battery allows this light to work for up to 12 hours. While this light is not the best choice for camping, hiking, or trekking, it is perfect for everyday activities. This is a moderately priced model, which can be used for everyday activities. It features a sleek design and a push button. The flashlight is available in six stylish colors. 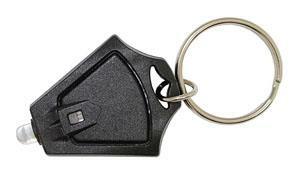 It comes with a removable key ring, which can be attached to the keychain, belt loop, or zipper pull. You can choose between 3-, 6-, 18- and 19-lumen models. The unit comes with a lifetime warranty. The main disadvantage of this unit is that the button needs to be continuously pressed for operation. This flashlight is famous for its bright, long-lasting light. The model is impressively durable and water resistant so it can be used in extreme conditions. The flashlight features a brightness option. By pushing down on the button, you can adjust the brightness. The unit runs on two CR2016 batteries which last up to 12 hours with constant use. 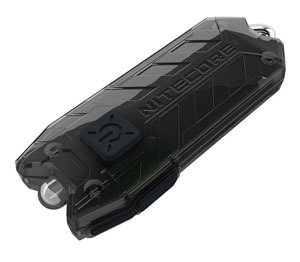 The flashlight is equipped with an easy-to-operate clip that can be attached to anything you wish, including your zipper, dog collar, or keychain. The futuristic design of this flashlight won the hearts of many users. Additionally, it is equipped with a key ring, built-in rechargeable battery, and LED light. The beam distance is about 48 meters (about 158 feet). The unit comes in five stylish colors and is waterproof. It can be recharged with a MicroUSB cable, which is not included. 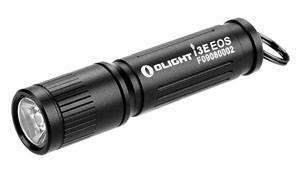 The flashlight produces 45 lumens when at its highest setting. It is small enough to fit into the coin pocket of your jeans. Depending on your needs and requirements, each one of these keychain flashlights can become a great addition to your gear. Having a durable and a bright flashlight in your arsenal can significantly improve your hiking, camping, and trekking experience. These small tools can become invaluable assistance to dog owners, technicians, rescuers, and regular homeowners. So it is definitely a must have for every day carry. If you are looking for a flashlight that is a bit bigger and perfect for survival, check out our review here. Whereas if you need a flashlight for AAA batteries, check this review out and if AA is your top choice, go here.